* Fluid head is not included. 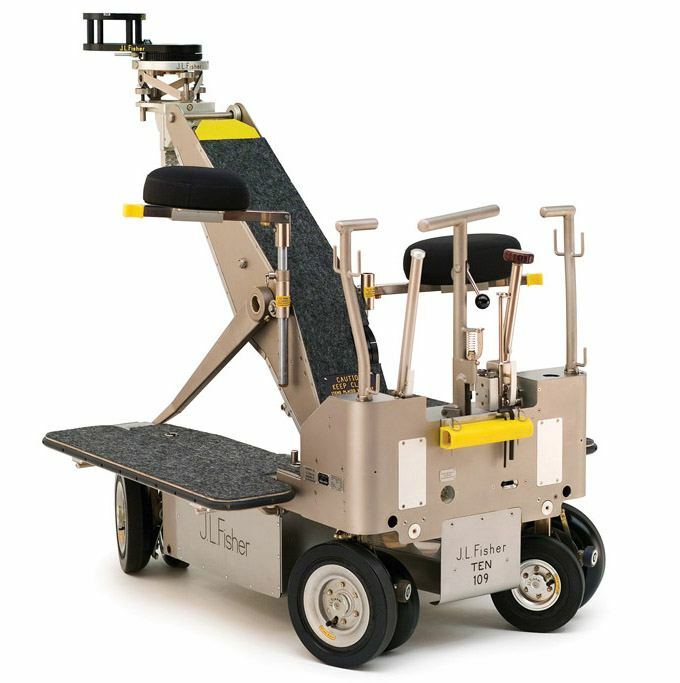 Designed for the times where you just want to do a little 6′ to 8′ dolly move without a lot of setup. 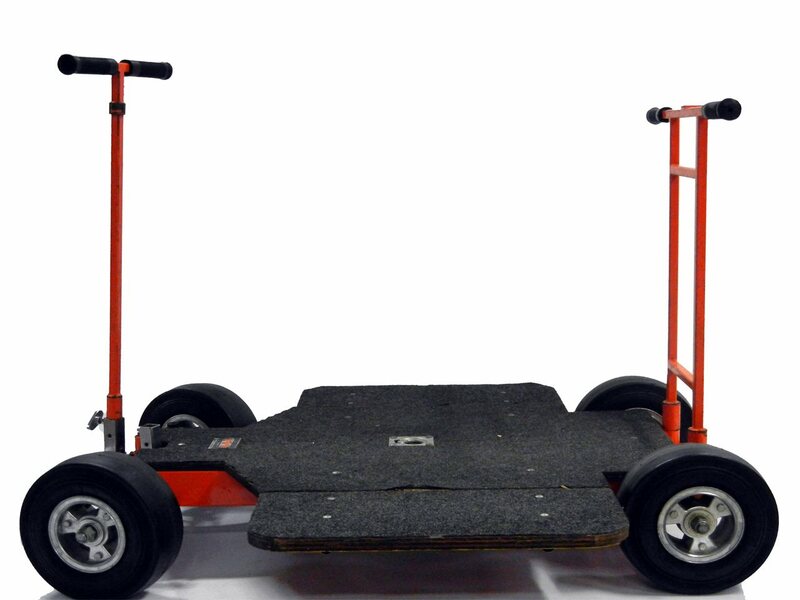 The Dana Dolly is easy to set up, can be used with a variety of track options, and can be supported using standard junior stands, apple boxes, or the ground, whatever the shot requires. Whether you’re an established professional or just getting started, the Dana Dolly is a great solution for adding production value to your shoot. Designed to be flexible, affordable, and easy to set up. Designed by a key grip with over 20 years’ experience in all types of production, the design is both simple and practical. The Mitchell Mount can take all types of camera heads with available adapters. The sixteen- wheel design with floating trucks provides a smooth glide. The track ends and center support can use any 1 1/4″ pipe as a track: aluminum, stainless steel, etc. So if you’re on location and don’t want to pack track, you can stop by a homecenter and pick up some pipe or conduit as an alternative to the Schedule 80 aluminum pipe we recommend for everyday use. 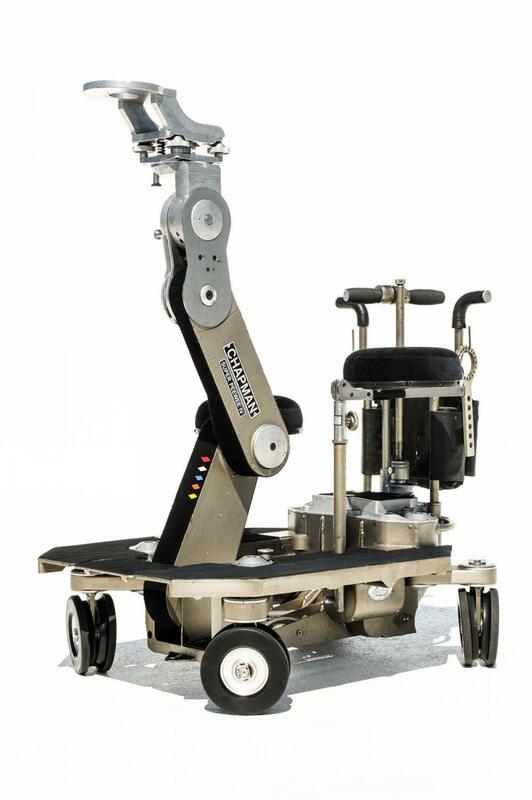 If you’re renting a Dana Dolly, Motorize it with the eMotimo spectrum ST4. 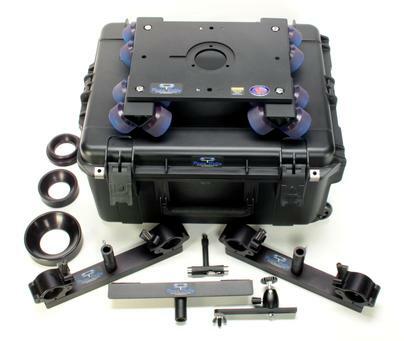 This kit will get you up and running with a motorized 4-axis system. Shooting with heavy payloads? The spectrum / Dana Dolly integration supports up 15lbs for video moves (more than any of the other sliders we integrate with). Add your spectrum ST4 to your Dana Dolly in minutes. No drilling or custom tools required. Included quick releases and thumbscrews help to keep things easy. Just plug in 2 cables and a battery to shoot 4 axes. 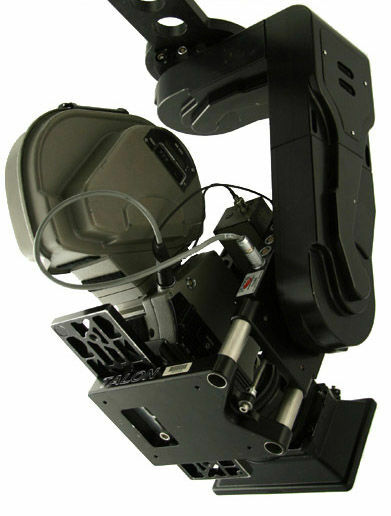 4 axis Controller (Pan/Tilt/M3/M4). Typically Pan/Tilt/Slide/Focus. • All Hi-quality 6061 Billet Aluminum. • Quiet Tracks. So you can record sound. • 3/8-16 Threaded holes down sides and end caps. • Very Rigid Design max weight 190lb. • Rotating pan mount with a smooth pan brake. • Complete slider is Hard Anodized. 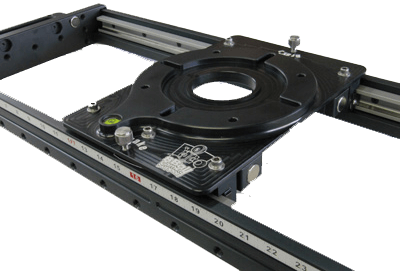 • Rotating pan mount is set on 2 tapered roller bearings and the spindle is made from Billet 1144 stress proof steel. 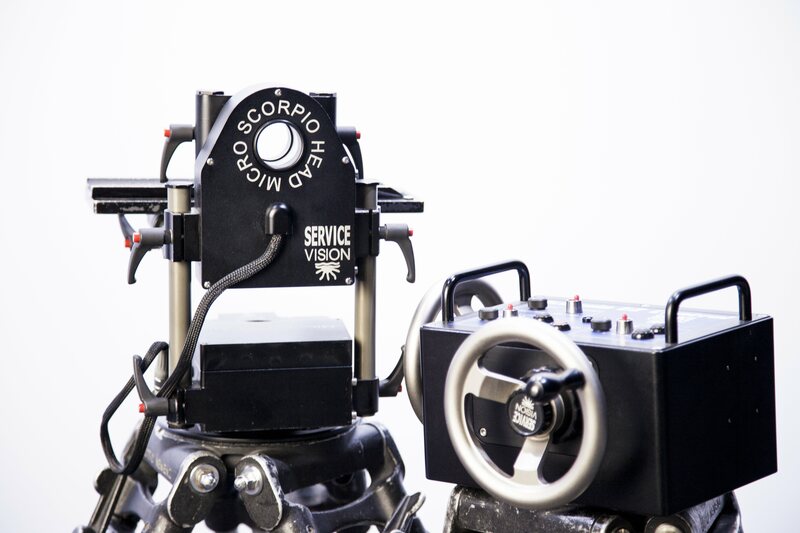 The Micro Scorpio Head is the smallest member of our family, designed to fill a blank in the market to offer a light and compact head with a very good quality of movements and possibilities. Comparing with the other Scorpio Heads, we have simplified the mechanics (cables instead of HD slip rings) and the electronics (one main servo boards for both axes instead of one of each per axis and smaller driver boards) but without giving up the quality of movement and the payload capacities of the Scorpio products, the motors are the same that we use with the Mini Scorpio. This way we are not only able to reduce the cost and the price but also reducing the weight and dimensions. The head weights 6kg with a payload of 12kgs/27lbs with the smallest configuration or up to 25kgs/56lbs when mounting the cage and as per its modular design with the possibility to make it bigger, smaller, work over-slung, under-slung, inside position, outside position, centre position, offset position and many more…. Max. payload with cage: 25Kg./56lb. 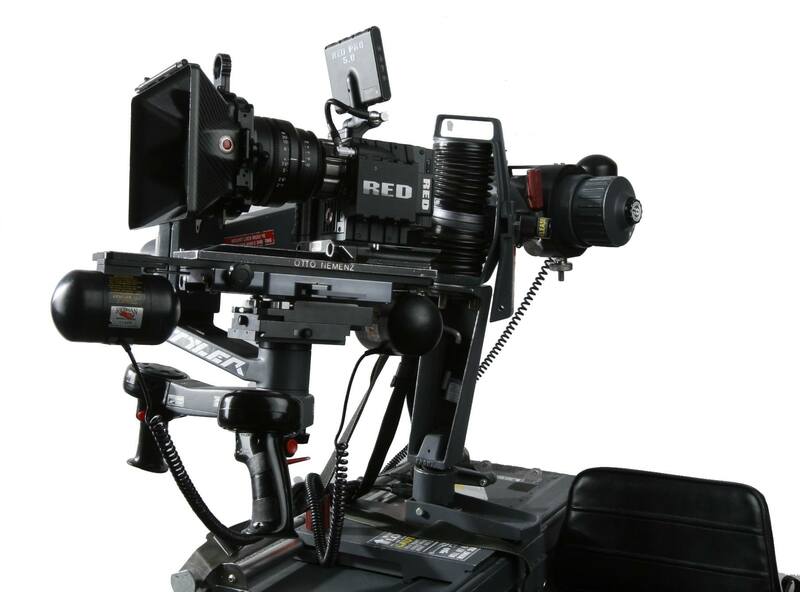 Salamati Productions has designed one of the industry’s best and most popular remote head options. Built around the immensely popular Cartoni Lambda fluid head, this wheels driven system is a 2 axis, digitally precise motion control ready system with full repeat-ability. When you can’t be there, Hot Gears can take over with minimum down time, no learning curve, and no technician. Wanna know more about HotGears? Salamati Productions has designed and built the ultimate time saver in quick remote head deployment. Constructed around the highly regarded Arri Geared Head 2, this wheels driven system is a 2 axis, digitally precise, motion control ready system with full repeatability and 4-direction, soft-stop limiter options. When you can’t be there, Hot Gears can step in with minimum down time, no learning curve, and no technician. 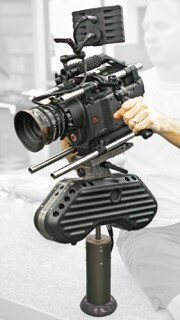 This light weight remote head can move cameras up to 30 lbs through 540 degrees of travel–tilt and pan. * Soft Stop limiters — keeps you in bounds. * Memorize and repeat moves. 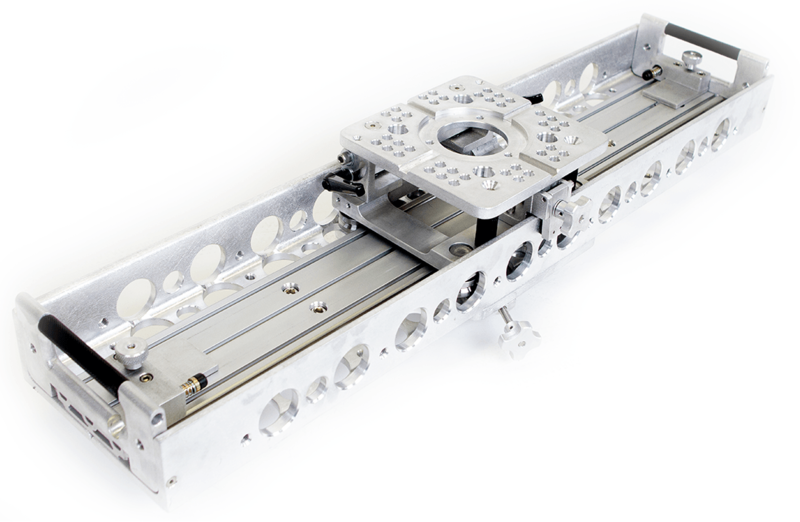 Among the many features that differentiate the Intel-A-jib™ from the competition is the one-piece X-Box Extrusion modular beam. This design element offers superior anti-deflection and anti-distortion of the arm. 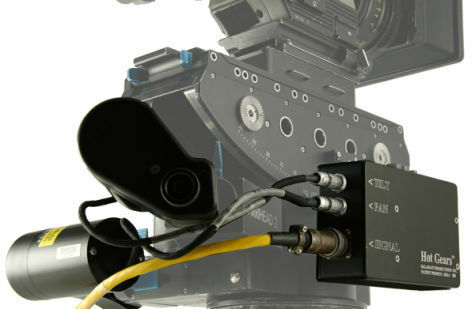 The Intel-A-Jib; sets up in less than two minutes without any tools due to the innovative V-Lock component connector locking system. With extensions of either 10 or 6 feet in length, the Intel-A-Jib™ can accept virtually any camera package, expanding great image-making creativity. 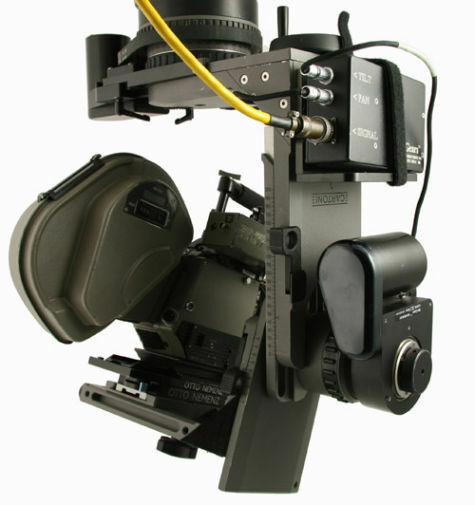 The Intel-A-Jib™ uses the internationally accepted Mitchell Mounting System to interface with the support tripod system and for camera mounting. 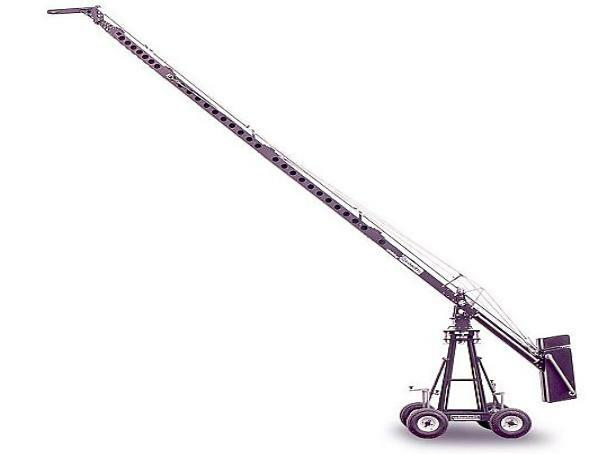 There are many accessories designed to expand the jib arm’s capability and functionality. Mounting the Intel-A-Jib™ to Matthews MT-1 Heavy-Duty Tripod and the DL-7 Dolly (sold separately) allows the operator to quickly and easily position the fixture thereby ensuring many more opportunities to capture that ‘perfect’ shot. 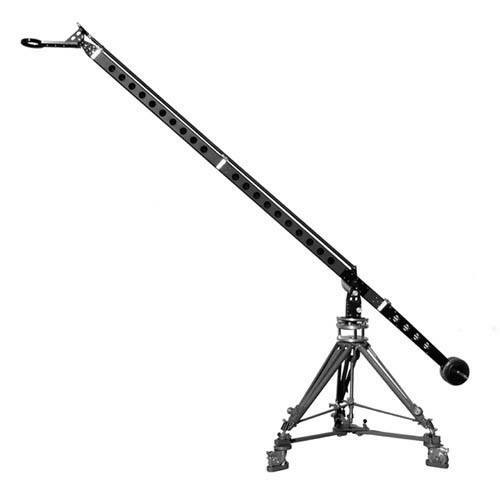 The Aero-Jib is a fully featured jib arm, that can adjust size quickly. 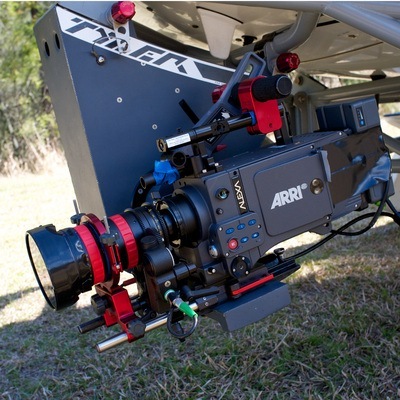 From 5′ to 10′ in minutes to fit fast paced locations and sets. This crane is modular and flexible. Fast and versatile, the Giraffe Classic Crane does not need any bracing. It is the best all terrain crane. The tapered sections nest inside each other, making it easily transportable, in light vans, small airplanes, helicopters and boats. Can be hand-carried up mountains and hard-to-reach locations. The Enlouva is a very versatile location crane that features a modular design that can be assembled by two people in less than 15 minutes and offers lens heights of negative ground level to more than 19 feet. 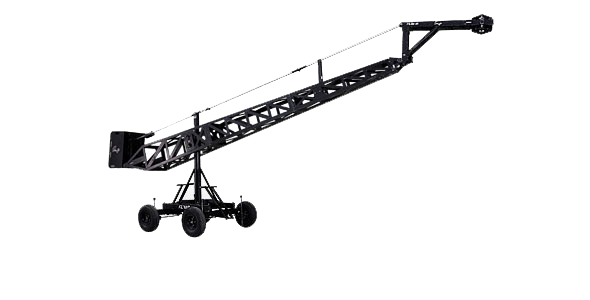 Constructed of aircraft quality aluminum, stainless steel, and assembled with precision bearings, this crane weighs less than 350lbs. 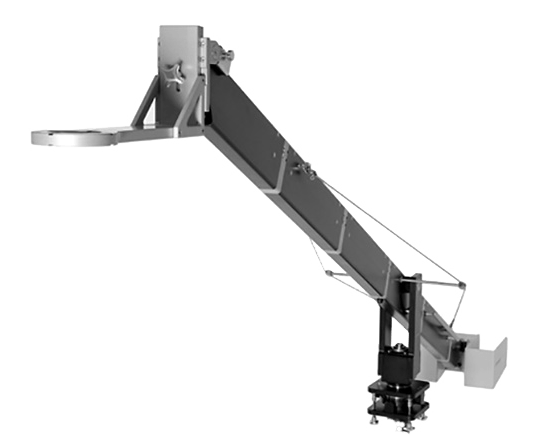 A hydraulic dampening system virtually eliminates Boom Whip in both the pan and tilt axis. 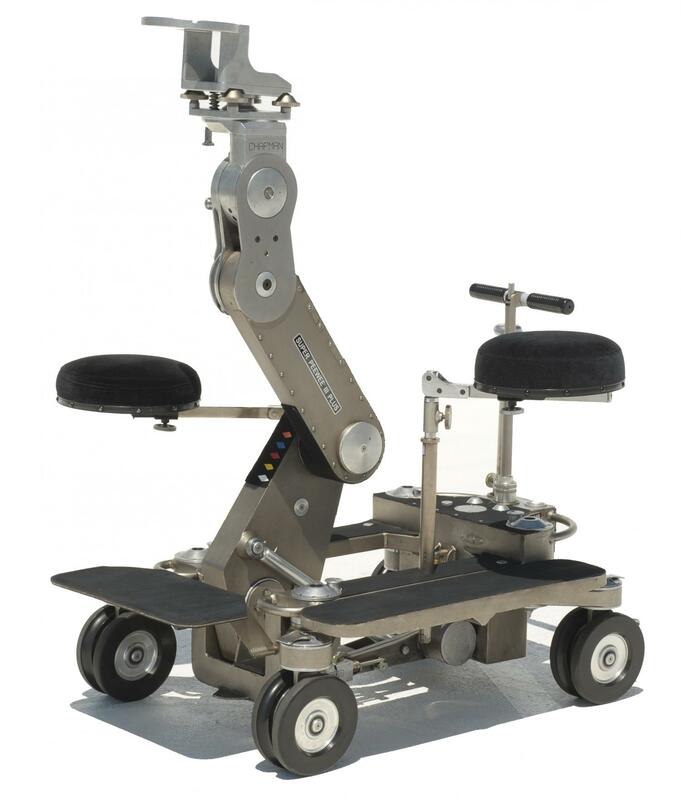 Mounting options include Fisher 10 dolly platform, castors, and the Cinemotion Insert / Camera Car. A Fisher 10 dolly is required for dolly moves. The crane is detached from the camera car (10 min) and mounts on the dolly. Caution: Use proper lifting techniques when lifting dolly. 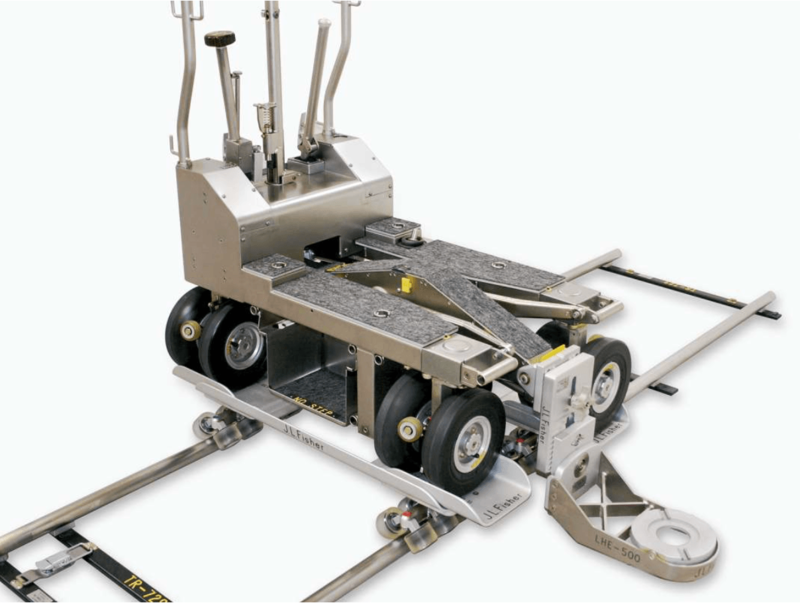 The Skateboard Wheels incorporate articulating trucks allowing all 32 wheels to maintain contact with the track for better control and stability, on both straight and curved round track. Wheels are precision ground for smoother, quieter operation. Skateboard Wheels work with all J.L. Fisher Dollies and Jib Arms, including the Model 23 Jib. Maximum weight on the Skateboard Wheels is 2000 lbs. The Center Mount (CM), used on J.L. 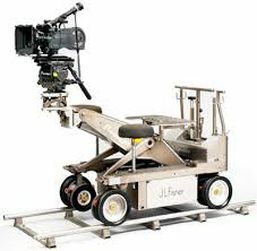 Fisher Dolly Models 11, 10 and 9, supports jib arms, lightweight camera booms and counterbalanced camera cranes. The Center Mount has thumbscrews for four-way leveling adjustment and a leveling indicator. Easily installed, the Center Mount has a standard Mitchell mount and comes with a heavy duty 12-inch Riser (R12). The maximum gross load capacity is 900 pounds (409 kg). Center Mount is not for supporting personnel or personnel carrying cranes. The Round Track Wheels (TTW) enable the J.L. 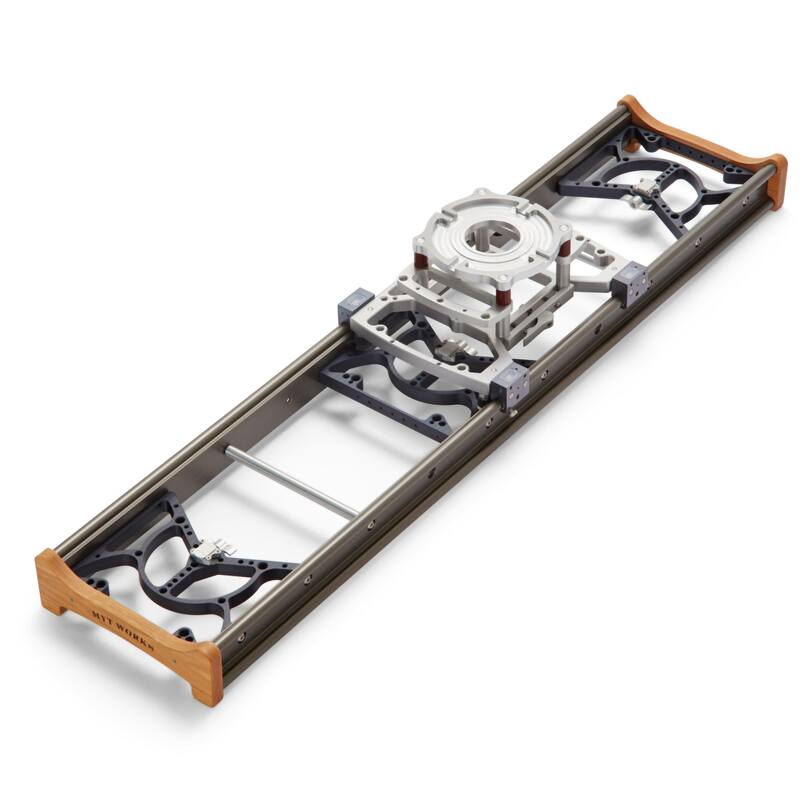 Fisher Dolly Model 10 to operate safely, smoothly and easily on Round Straight Track or Round Curved Track. 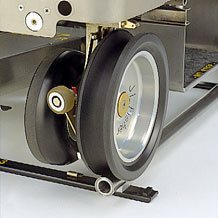 Wheels can be left on the Dolly while shooting on stage flooring and are quickly changed with one screw each. Available in 2 to 10 feet. 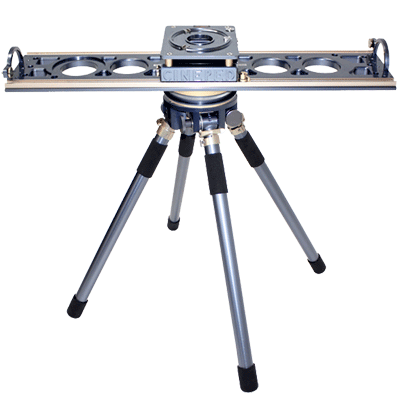 Hi-load swing fold dolly track is constructed of anodized structural aluminum, and designed to carry maximum loads with minimum deflection. The track rails are flush with the ground, and thus supported along their entire length preventing any flexing between crossbars. 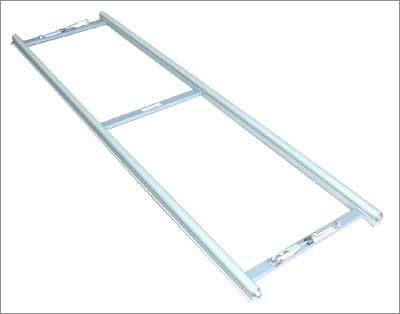 The load carrying capacity of this track is rated in excess of two tons fitted with precision machined stainless steel cones and connectors for corrosion proof durability and maintenance free use. This track is light enough to carry to any location but rugged enough to survive the heaviest usage and proven by time to sustain less than 20% of damage recorded on heavier steel track. 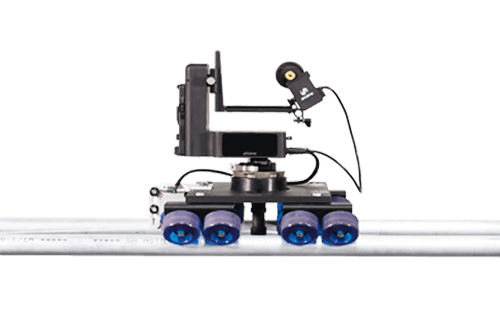 The hi-load curved dolly track is constructed of anodized structural aluminum and designed to carry maximum loads with minimum deflection. Flexing between crossbars is prevented as the rails are in contact with the ground along their entire length. Therefore, the load carrying capacity is rated in excess of two tons. Four of these curved sections are needed to make up a circle, which has a 14 ft. (4.2 m) outside diameter. Accumulator Charging Time (Empty to Full) 60 sec.